Hidetoshi Nakata tried to look cool and trendy. But he is just not cool at all. [size=117]I was sort of lazy and had not provided updates of Yao Ming lately. [color=darkred]I'll do some catch up for the past 2 months' activities. 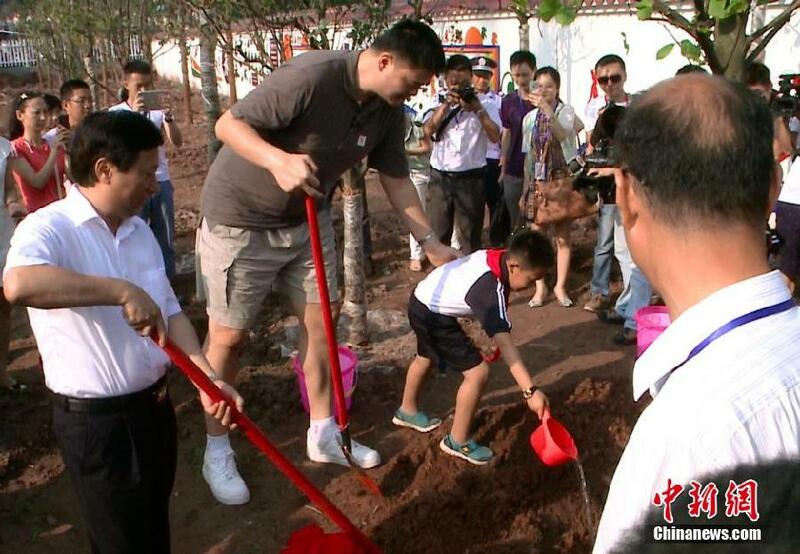 Yao and family went to Sanya of Hainan late April for holidays and a series of activities. As an active environment conservationist, Yao Ming is now adding a new member to his list of endangered wildlife (sharks, rhino, elephant, panda) he is calling on the public to protect. And it is sea turtle. 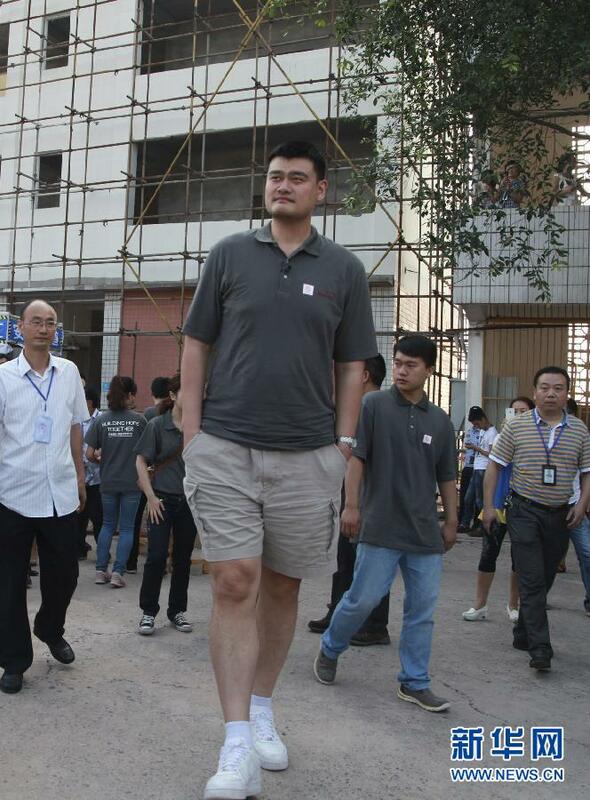 There were not too many activities worth reporting in May for Big Yao. It was sort of prematurely announced that he could appear as a guest in the extremely popular TV reality show "Where Are We Going, Dad?" Season 2. 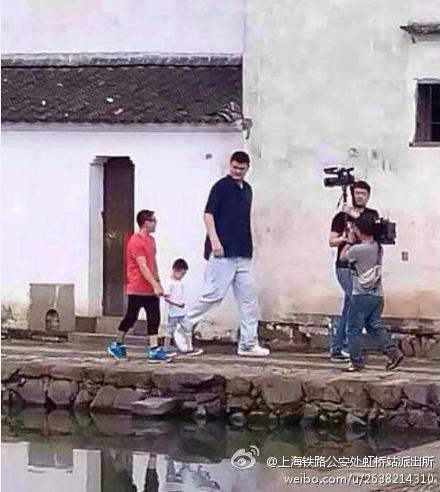 And there were reports and photos on sina weibo by posters showing Yao Ming in different locations for the pre-filming of the show in late May. 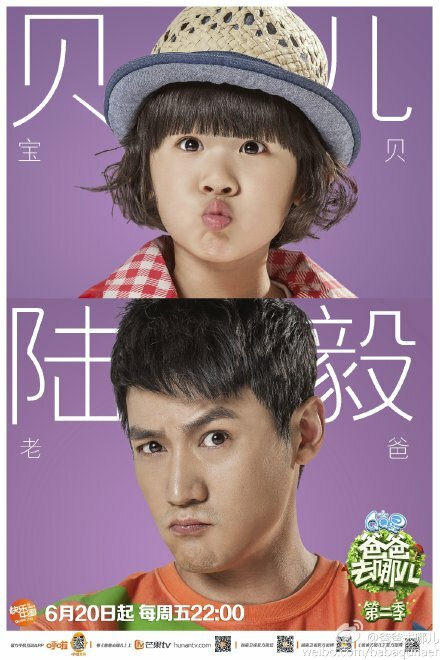 It is not yet known in which episode Big Yao will appear as the special guest or whether he will bring his daughter Amy Yao along for the show. 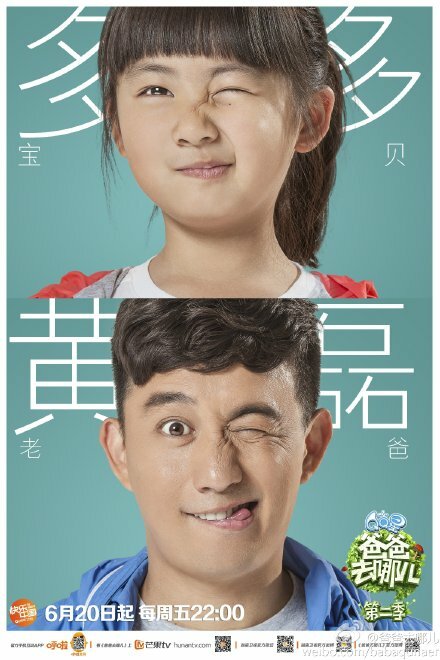 The Chinese Basketball Star Yao Ming might make an appearance in season 2 of popular reality TV series, "Where are we going, Dad?" Season 2 adopts a new 4+X format, meaning four celebrity fathers and their children will be joined by a surprise guest on each episode. It has been leaked that the retired NBA basketball star might be one of the surprise guests. The first season of "Where are we going Dad?" 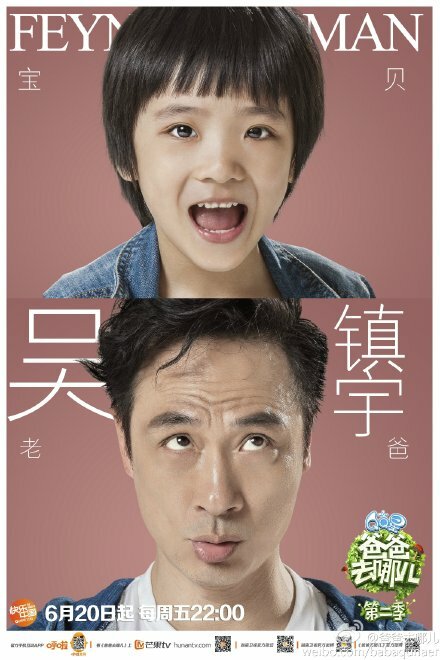 or "Baba Qu Nar" attracted 75 million viewers per episode each week, and the show's movie adaptation earned nearly 600 million yuan after being released during this year's Spring Festival. 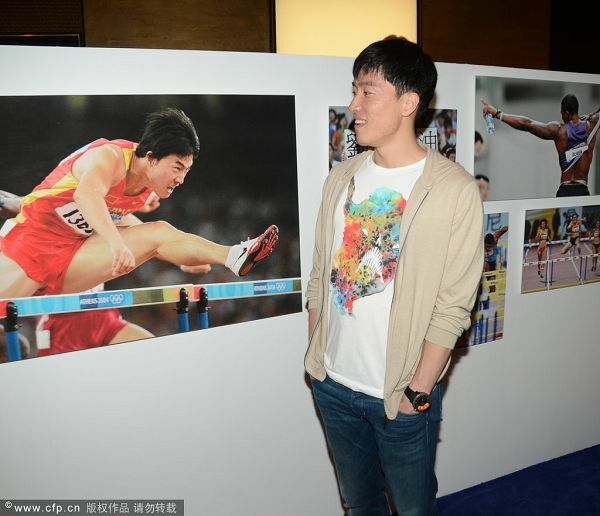 The only activity worthwhile to report in May for Big Yao could be he joined a few established Chinese athletes (Liu Xiang and Yang Yang) on May 19 to a photo exhibition organized by Shanghai Municipal Sports Bureau as a promotional activity for 2014 IAAF Shanghai Diamond League held in Shanghai on May 18. 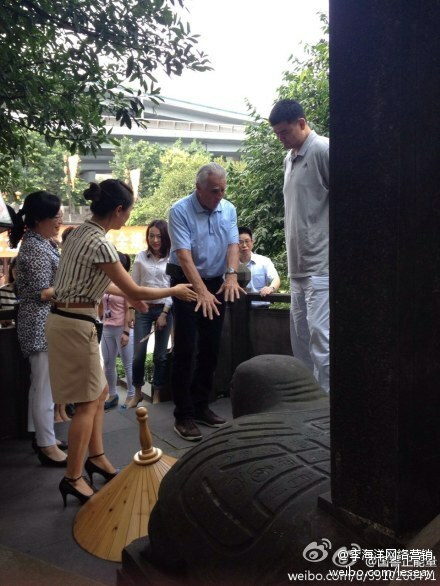 And when the organization committee of Laureus Sports Award threw a press conference in Shanghai on June 9 to announce that Shanghai will be the host city for the 2015 Laureus Sports Award Ceremony, Yao Ming, as a past recipient of the award, and the sports icon of China, also attended the press conference. 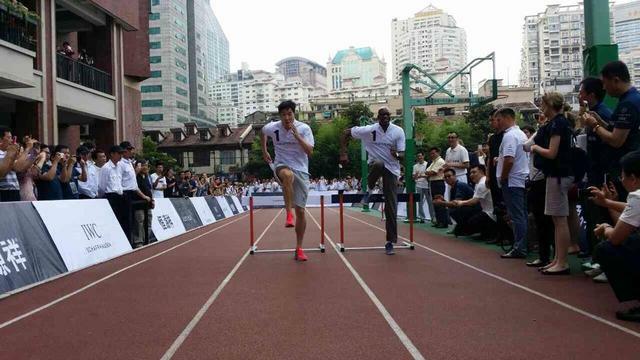 The other past recipient of the Laureus Award, Liu Xiang also made a public apperance that afternoon in a local high school together with Edwin Moses , the current chairman of the Laureus World Sports Academy, and demonstrated to the high school students there the basic fundamentals of running the hurdles. 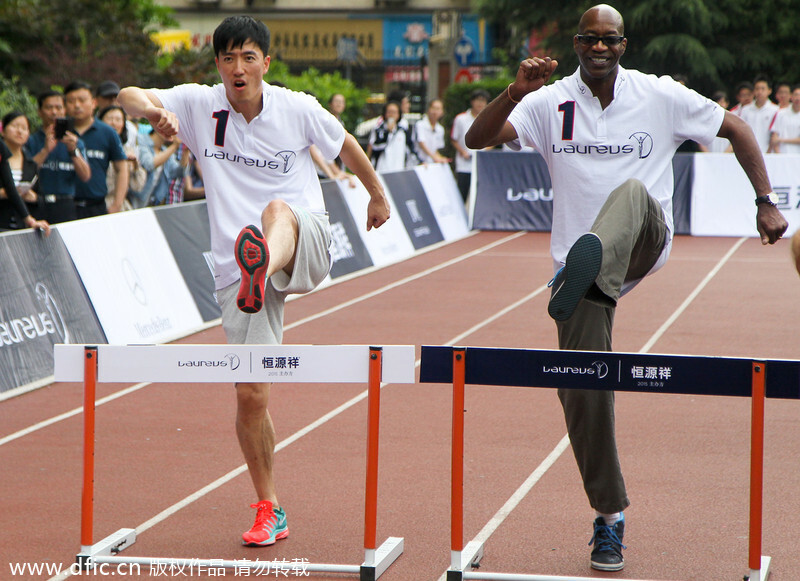 The 2015 Laureus World Sports Awards will be held in Shanghai, Edwin Moses, chairman of the Laureus World Sports Academy, announced yesterday. To be staged in China for the first time, the ceremony, which is regarded as the Oscars of sports, will be globally televised and attended by A-listers from the world of sports. 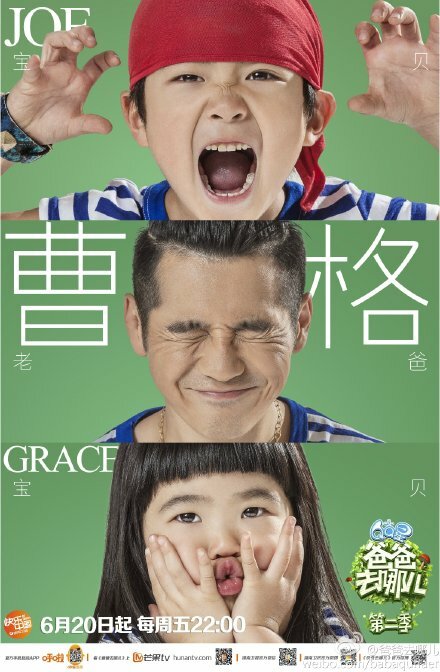 Two Chinese stars have won honors in the awards' 15-year history. 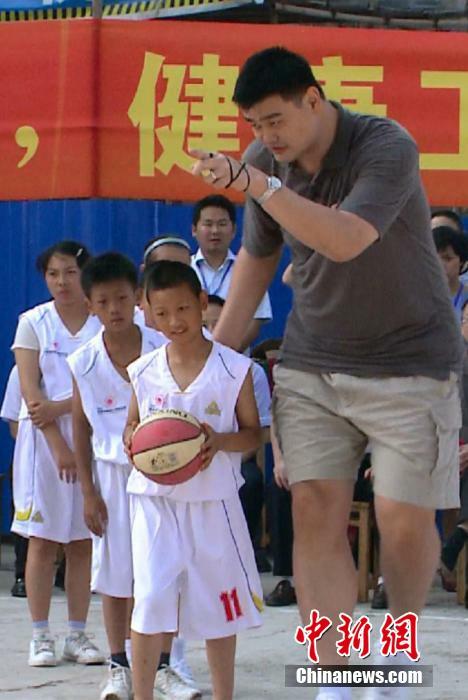 Hoopman Yao Ming, who was then with NBA side Houston Rockets, was the winner of the Laureus World Newcomer of the Year Award in 2003. 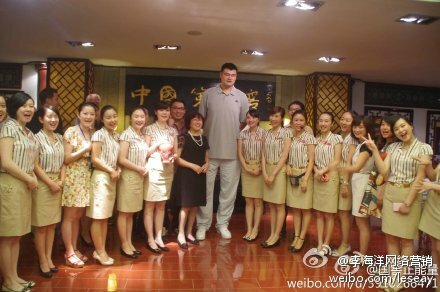 However, Yao did not attend the event in Morocco that year due to a tight match schedule. "It was a pity. 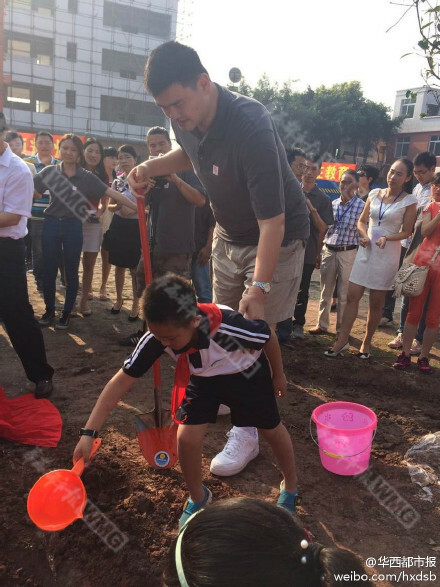 It's like a sports competition, you need to be on site to get a real feel," Yao said at yesterday's press conference. In 2005, local hurdler Liu Xiang also won the same award. The Chinese Olympic team was voted the best team thanks to its superb performance at the 2008 Beijing Olympic Games. 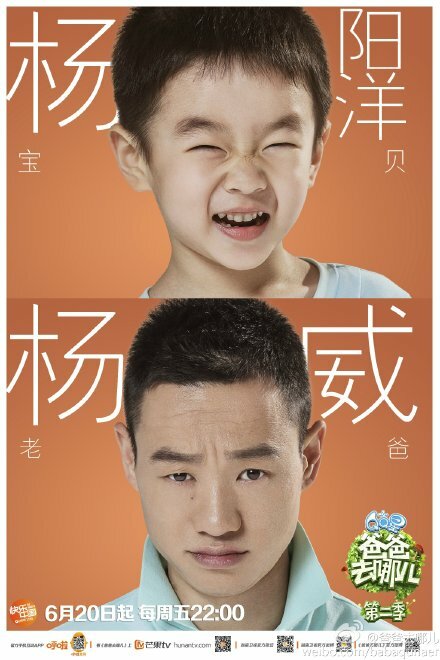 Other Chinese athletes like tennis player Li Na and swimmer Ye Shiwen, as well as the Chinese table tennis team, have also been nominated for the awards. 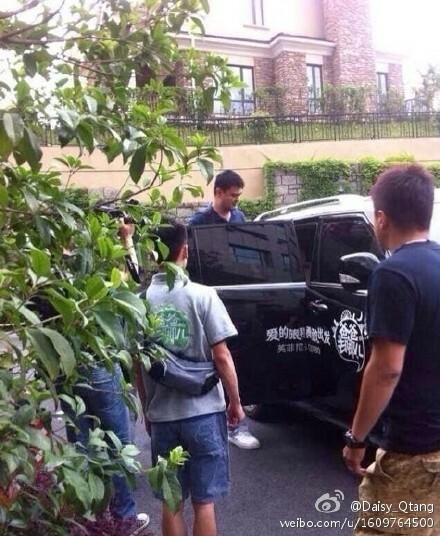 On the sidelines of the announcement press conference yesterday, Liu showed up at Gezhi High School for a PE lesson. He shared his experience with some select students by leading them into warm-up exercises. 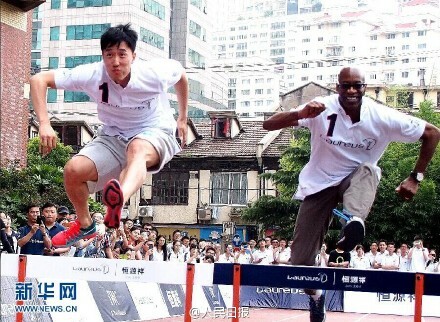 The former 110-meter Olympic and world champion then had a mini hurdling contest with American Moses, a two-time Olympic gold medalist in 400 hurdles. Liu has been recovering from surgery and while training has been good he has still not been able to train in spikes due to the discomfort in his foot, according to his coach Sun Haiping. "It is so exciting to join the legendary hurdler Edwin Moses in talking to the students here. I hope we were able to inspire them and encourage them to pursue their dreams," Liu said. The hurdler also confessed he doesn't yet see any potential or chance of him becoming a coach but expects to make a track comeback next year if his recovery goes smoothly. 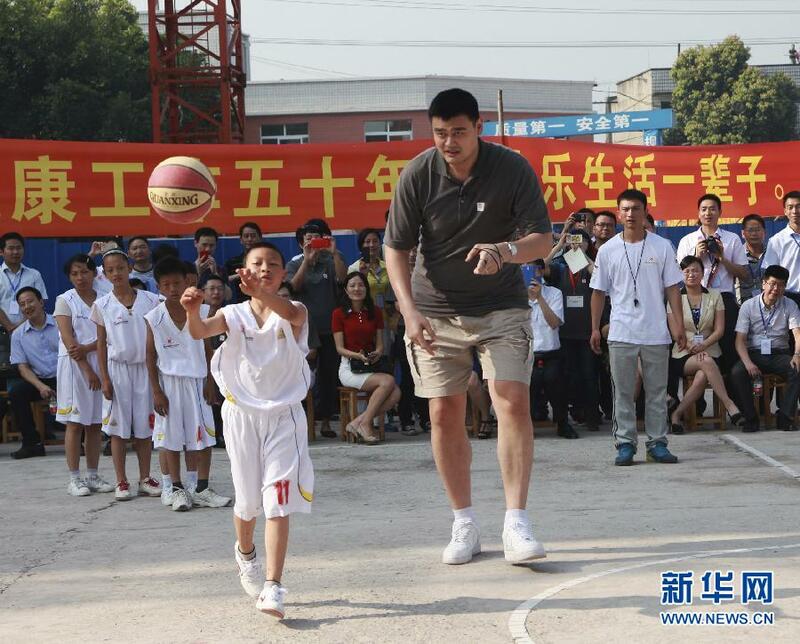 And as NBA's Ambassador for the region, Yao Ming made a 1-day appearance in Taipei on June 14 for a NBA Care activity for intellectual challenged children of Taipei's Special Olympics, a part of NBA's 2014 Basketball Without Borders Asia Camp (held June 12 ~ 16). Nicholas Batum of Portland TraiBlazers was one of the NBA stars there as guest coach in the camp for young players in the region. It was later revealed that Yao Ming asked Batum to relay a message to his team mate Damian Lillard that he was very p!$$ed off and wanted to settle an account with Lillard 找他算账 for singlehandedly eliminating Houston Rockets from this year's playoff. 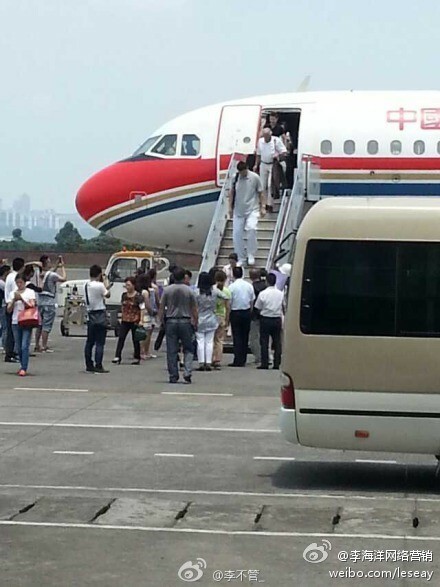 And after his return from Taiwan, Yao Ming flew to Luzhou of Sichuan together with Simon Cooper, president and managing director of Marriott International Asia Pacific. 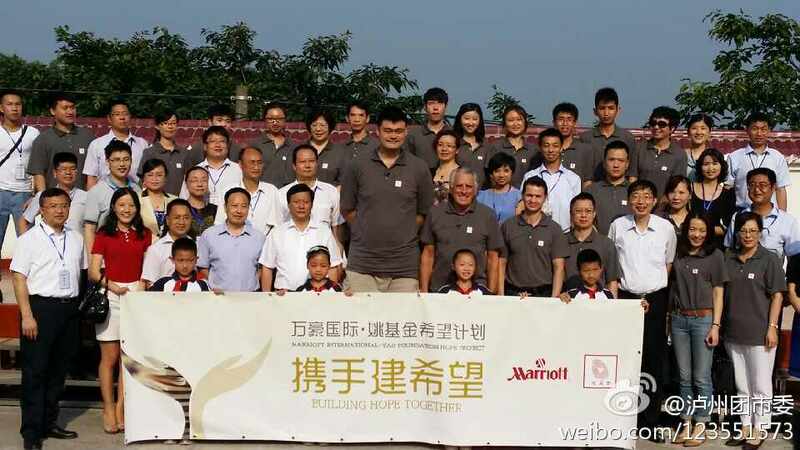 Marriott International had earlier entered into a partnership with Yao Foundation that both side will co-operate to build 3 Project Hope Primary Schools in China, Marriott International will fund Yao's Hope Project Primary School Basketball Season, and Yao Ming will act as Marriott's public image spokesperson in the region. 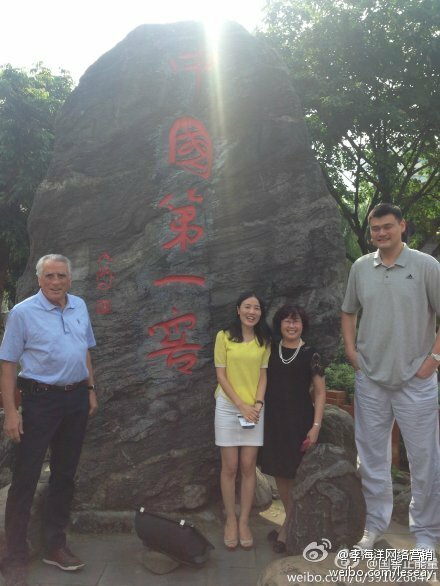 They arrived on June 17, and here are photos of Yao on his arrival, and they paid a visit to a winery in Luzhou that afternoon. 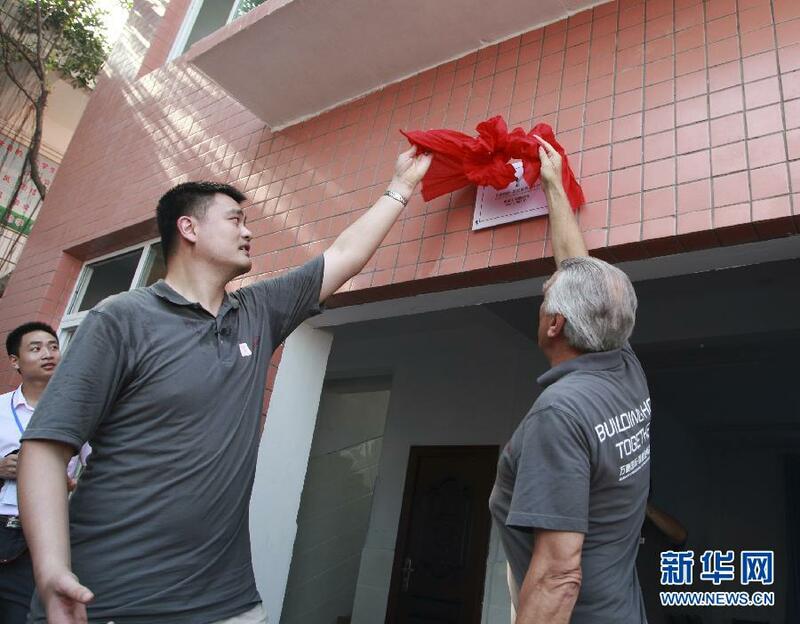 Then in the morning of June 18, Yao Ming and Simon Cooper & Co. proceeded to the Yong Shou Primary School in a small county of Luzhou that they refurbished and renamed to Marriott and Yao Foundation Project Hope Primary School. 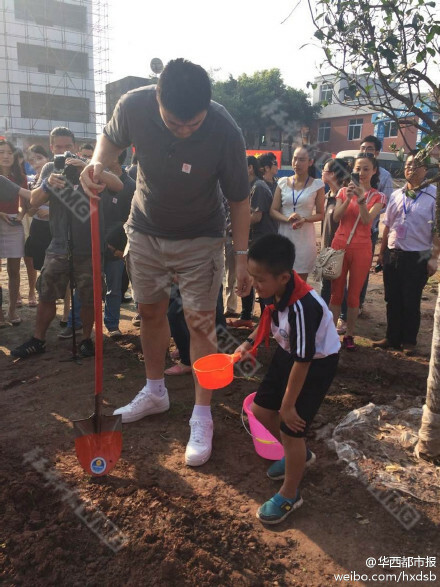 While there, they did a symbolic red-ribbon cutting ceremony, toured the new facilities of the refurbished school, had a small basketball clinic for the kids, as well as planted trees for the school. 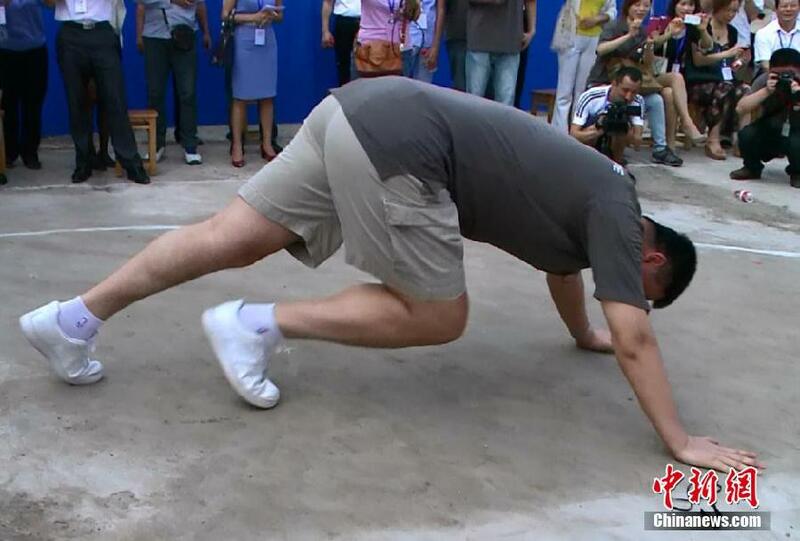 And in the basketball session, Yao had to do a couple of push-ups as his team lost to Simon Cooper's team. 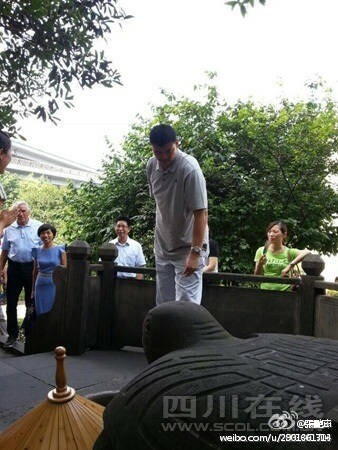 Here are photos of Big Yao's visit on June 18. 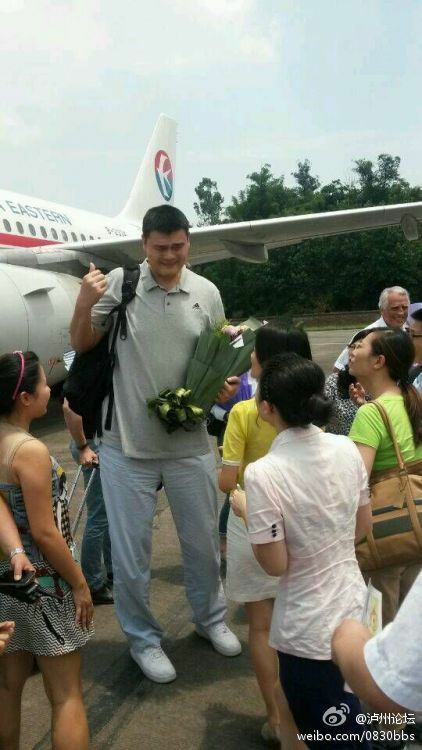 Yao Ming left Luzhou of Sichuan night of June 18. 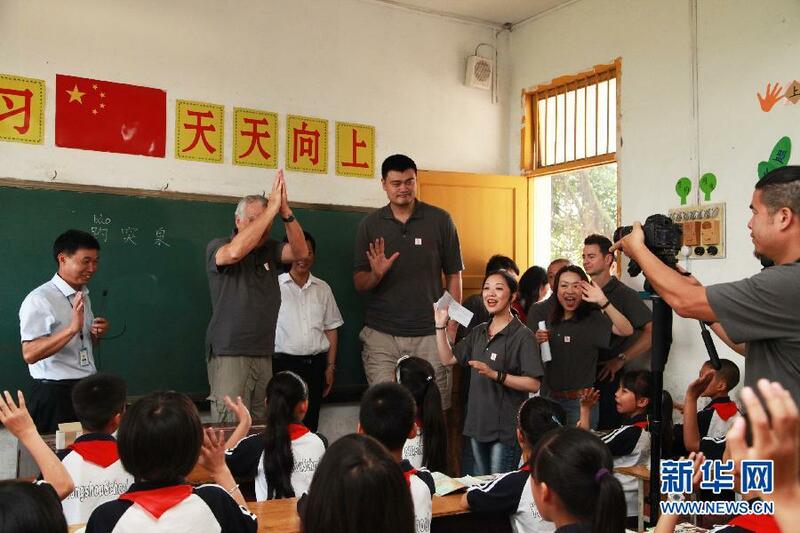 He showed up in yet another Projct Hope Primary School ~ Shanghai's Ziluolan Primary School in the morning of June 19 together with Nicolas Batum (in his capacity as NBA Cares Ambassador) again. 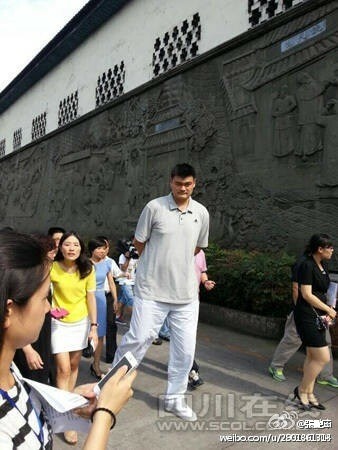 And forgeting about his repaired left foot that led to his prematured retirement, Big Yao ran up and down the court with students in a mini-exhibition game against another team led by Nicolas Batum. 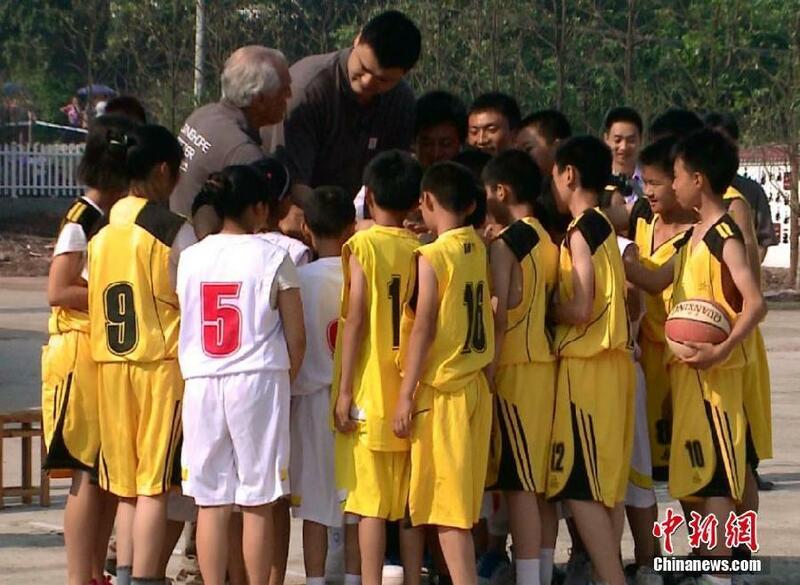 When asked by reporters why he spent so much time with poor school children, Yao said ""Our aim is to teach children to take part in sports, not to train basketball talent for professional teams. I hope to send out a message that sports can teach children many virtues that they couldn't learn in classrooms, and to influence more people to pay attention to children's all-round development." 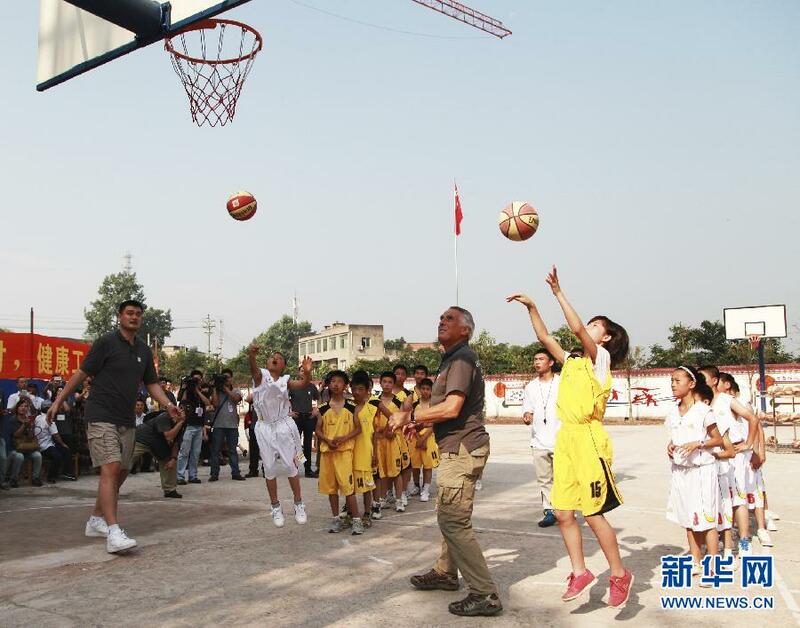 Photos of Yao Ming and Nicolas Batum on their June 19th visit to Shanghai's Ziluolan Primary School.